Happy Friday! 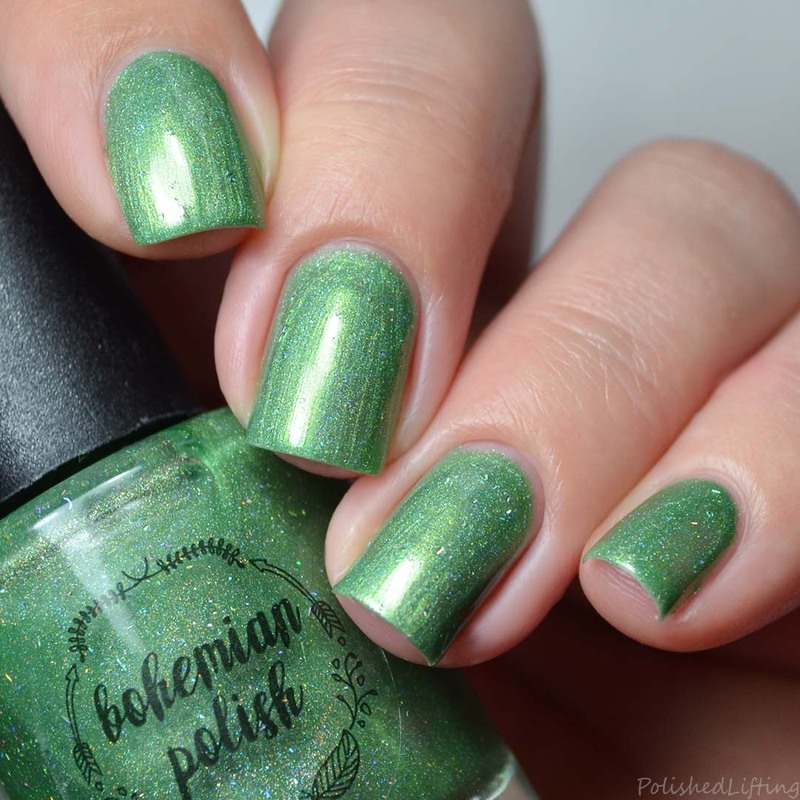 I'm back with the last few colors launching with Bohemian Polish next week. 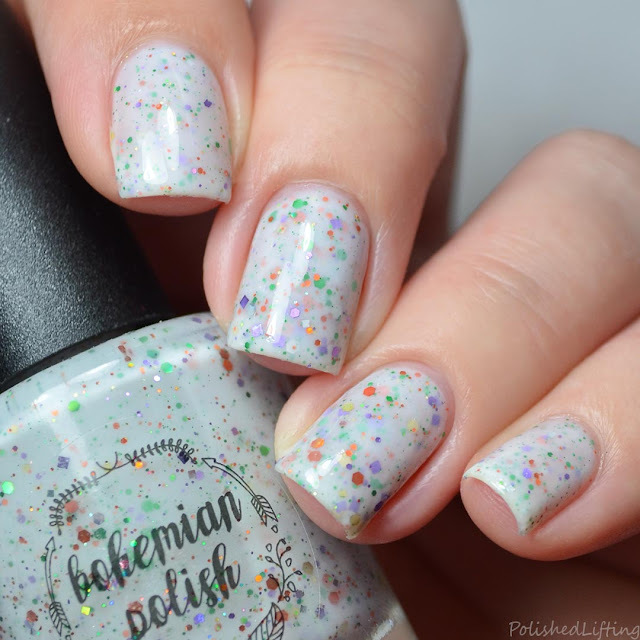 Today's post features Bohemian Polish The Is Halloween and a couple of new skincare products. Notes: Green has always been one of my favorite colors. Resting Witch Face is a playful take on the traditional Halloween green. 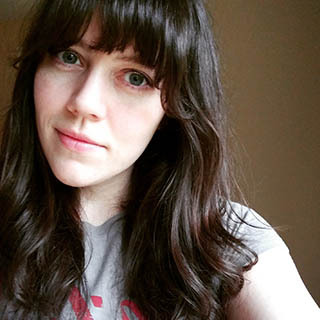 Notes: I swear indies are going to make me like orange. 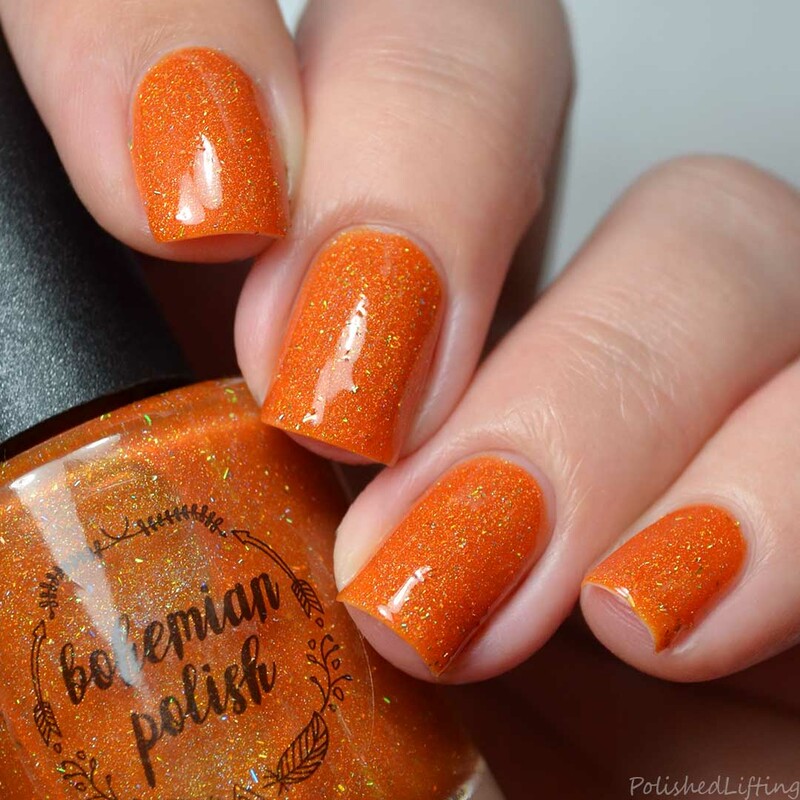 I don't normally reach for orange polish but I adore Trick or Treat Yo'self! It's such a vibrant pumpkin holo that is really growing on me. Notes: Creepin' It Real is an elevated version of the typical chic black. It's not just holo, it has holo micro flakies that really stand out against the dark base. Notes: Sheet Faced had me cracking up when I first read the label. 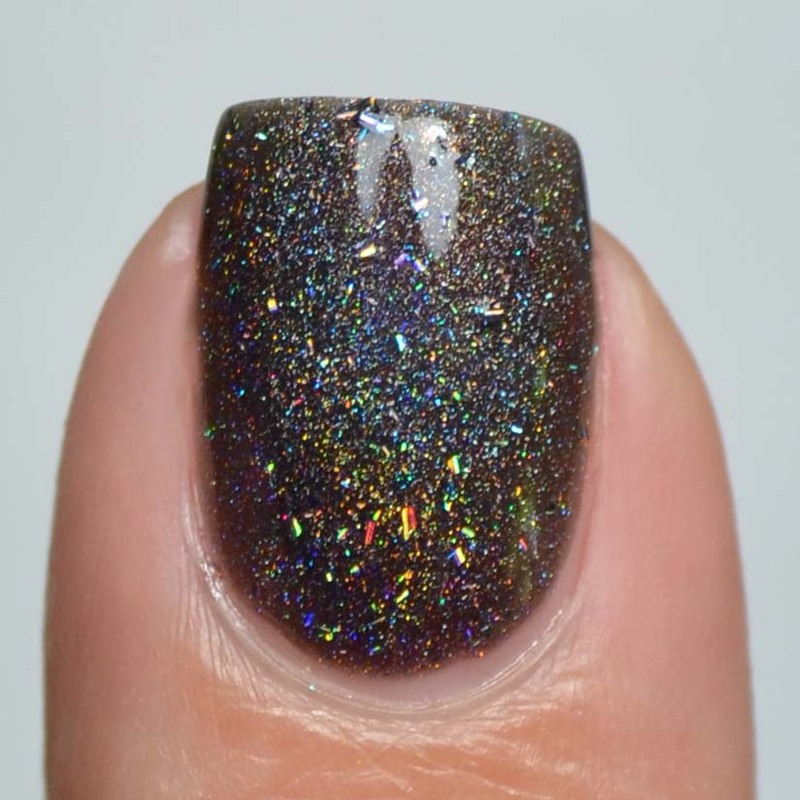 This gorgeous crelly wraps up all of your typical Halloween colors into a delicate crelly. This is THE color of the season. This is the cutest little lotion bottle I've ever seen! I had the opportunity to try the new Bohemian Polish lotion blend and I have to say I'm really enjoying it. Mine is scented with pumpkin cream and it's a absolute delight! It smells good enough to eat, but please don't. This may be making its debut on Black Friday. This is currently tbd but I will keep you updated when I hear more! 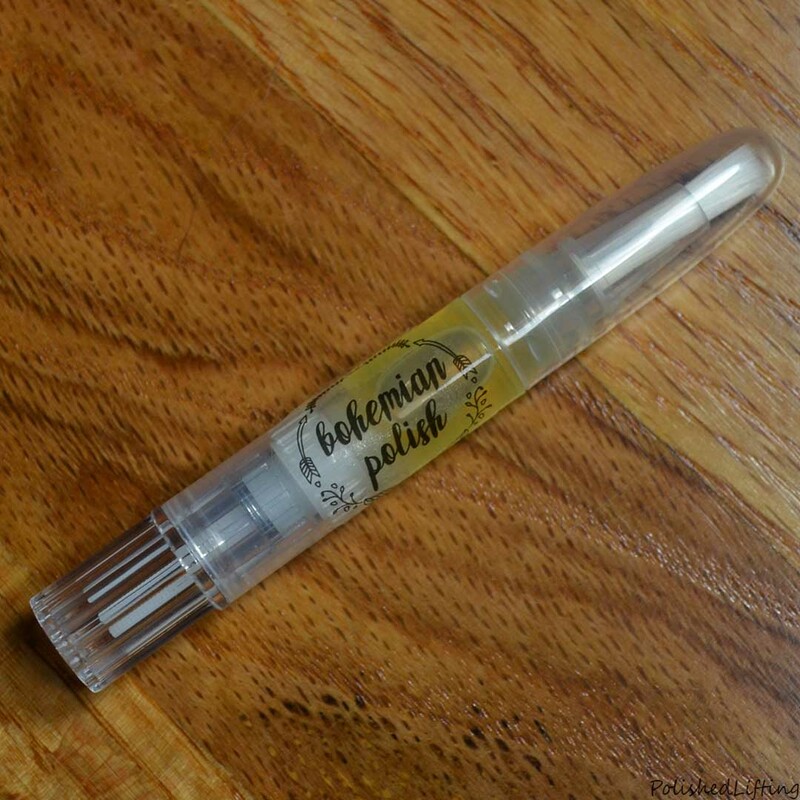 Cuticle oils will now be available in brush pens as of October 1st. I had the chance to try out this adorable mini pen in a Frankenberry/Boo Berry blend. I love brush pens, but I had no idea how much I was going to enjoy this mini brush pen. It fits in my tiny purse perfectly and the packaging keeps my purse perfectly oil free. If you have a chance to try the Frankenberry/Boo Berry blend please let me know what you think of it! The Bohemian Polish This Is Halloween collection will be available on Monday, October 1st. 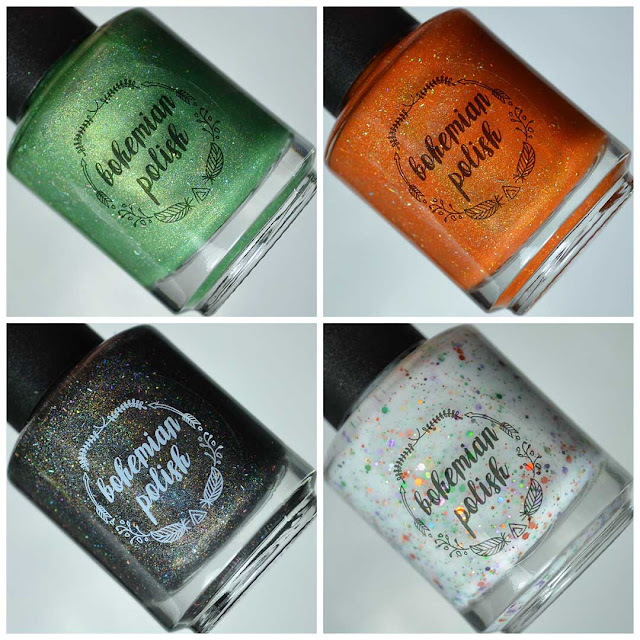 Also launching on the 1st is the Fall In Love With Autumn collection, the Party Pumpkins Duo, and brush style cuticle oil pens. Bohemian Polish currently has a bunch of new wax melts available. Some highlights are the Bojax collection, the Bag of Bones (this looks so cute! ), Fall clamshells and the reasonably priced Fall Wax Sampler. If you enjoyed this post you might like Bohemian Polish Natural Witch Wax & Party Pumpkins Duo | 31dc2018 Challenge and Bohemian Polish Fall In Love With Autumn Collection.